Dr. Nicholas Mezitis studied medicine at the National Kapodistrian University Medical School in Athens, Greece and at Ruprecht Karl University in Heidelberg, Germany, where he also completed his doctoral thesis in Neuropharmacology and his internship and was awarded the degree ‘Doctor of Medicine’. His postgraduate training included residencies in Anatomic and Clinical Pathology at George Washington University Hospital in Washington , D.C. and in Internal Medicine at Thomas Jefferson University Hospital in Philadelphia, Pennsylvania. 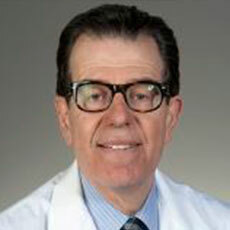 His selection as a Fellow in Diabetes and Endocrinology at the Joslin Diabetes Center and the New England Deaconess Hospital of Harvard University was complemented by additional fellowship and research training in Diabetes, Endocrinology and Nutrition at St. Luke’s-Roosevelt Hospital Center of Columbia University in New York City, which qualified him in the subspecialties. 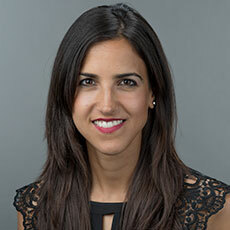 Dr Mezitis was awarded teaching appointments at Columbia University College of Physicians and Surgeons, the Teachers College of Columbia University Program in Nutrition, and the Institute of Human Nutrition of Columbia University. He was co-founder and Chief of the Clinical Pharmacology Program of the Division of Diabetes, Endocrinology and Nutrition at St. Luke’s / Roosevelt Hospital Center. He also founded and conducted research with Mezitis Education and Research Institute Ltd. , authored important contributions to the medical literature in his specialties and served as reviewer for journals and publishers. He has provided expertise on the boards of professional societies and as consultant to the pharmaceutical industry and has lectured nationally and internationally. Dr. Mezitis’ clinical responsibilities as Senior Attending Physician in New York included the Fellowship Program in Diabetes, Endocrinology and Nutrition at St. Luke’s/Roosevelt Hospital Center and his private consultation practice in Manhattan. Dr. Mezitis was invited to Athens, Ohio in 2014 to join the faculty at Ohio University Heritage College of Osteopathic Medicine as Associate Professor of Specialty Medicine and to lead the University Medical Associates Diabetes Endocrine Care and Education Center, with privileges as consultant at Ohio Health O’Bleness Memorial Hospital and investigator at the Diabetes Institute of Ohio University. He has now joined OhioHealth and Marietta Memorial Health systems as consultant in diabetes/endocrinology and he directs Mezitis Education Research LLC. Dr. Mezitis’ approach in medical care involves educating the community to understand the origins of illness as a disruption in vital rhythms and empowering patients to restore vital harmony, primarily through nutrition and lifestyle. His years of training at major academic centers and his long experience with diverse cultures and population groups have permitted him to develop a successful educational message with outstanding clinical outcomes.